For a long time, your local Home Depot store had limited amounts of plant grow lighting solutions. While we still sell various plant light bulbs for medium base sockets and fluorescent bulbs, there was a lacking in plant grow lighting fixtures....until now. In this post, I'll briefly go over a great product for growing plants indoors for anyone who wants to grow with little or no lighting but require full spectrum lighting. 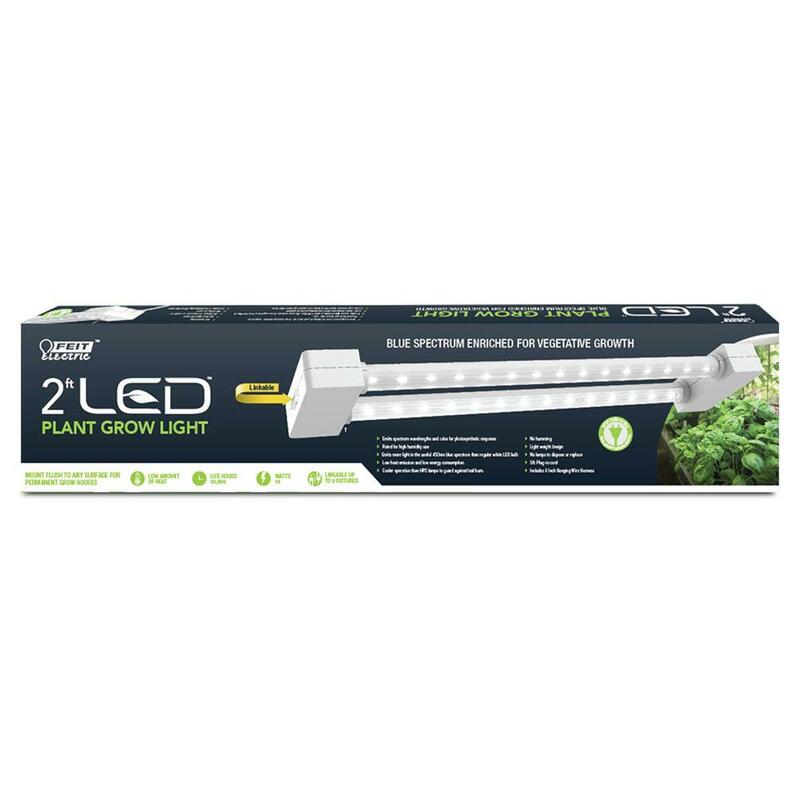 Feit Electric's 2 foot 19-Watt White LED Full Spectrum Linkable Grow Light is the best product your local Home Depot store sells to give plants the best source of light for optimum growing. For any plant growing lighting options, only purchase a product that states on its package that it can do so. 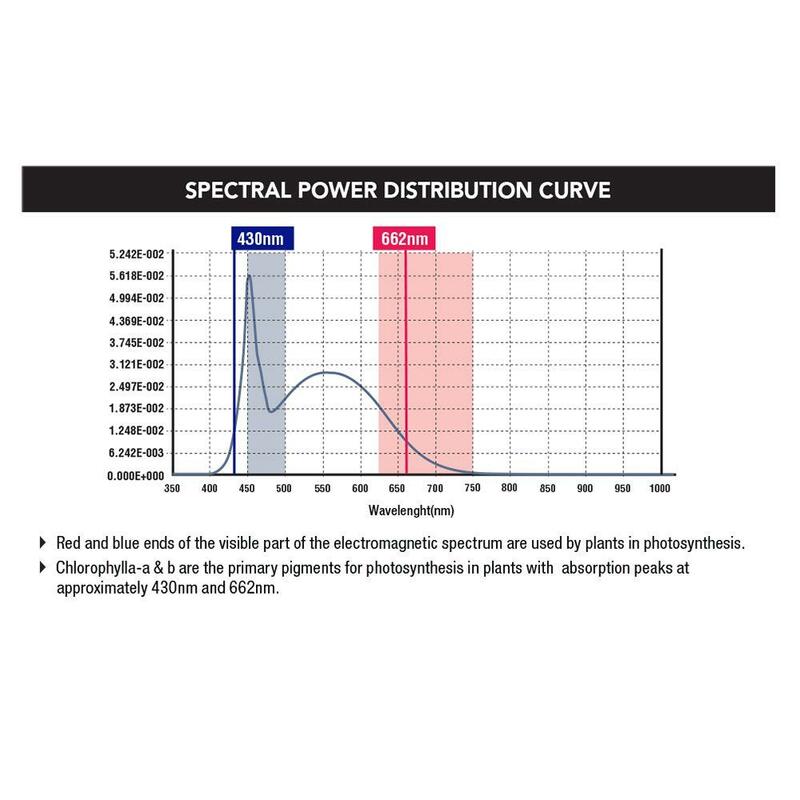 This is usually expressed as full spectrum, which means the red and blue spectrum of visible light is used for successful photosynthesis. In the case of this fixture, it's Kelvin units (in 6500K) and lumens make it the best way to not just grow plants indoors, but to promote healthy growth as well. This chart below shows why and how this is the best option for growing lights using this fixture. Since the more efficient LED lighting is used as a light source, this fixture will not create burns on leaves or get too hot for the growing plants. So for creating your own herbs and spice indoor garden, this means you can place the fixture close to them, allowing for more space. Since this fixture can be wall or ceiling mounted with chains provided and a plug in included, this means you can place this just about anywhere in your home. Be sure to check out this product if you are planning to grow plants indoors, and you'll be pleased with the results! For this and any other lighting questions, please do not hesitate to ask us here.